The Best Independent Music blogs from thousands of popular music blogs in our index using search and social metrics. Data will be refreshed once a week. Independent Music newsletter is a comprehensive summary of the day's most important blog posts and news articles from the best Independent Music websites on the web, and delivered to your email inbox each morning. To subscribe, simply provide us with your email address. London, UK About Blog Music Crowns is a global independent and unsigned music artists online magazine and opportunities hub supporting unsigned and independent music artists and giving them the opportunity and platform to play to a huge audience and media presence. Facebook fans 2,221,123. Twitter followers 24,385. About Blog [PIAS] champions and supports the best independent music in the world across our unrivalled international network. [PIAS] embraces these passionate people – offering financial investment and key resources to ensure that their artists are given the best chance of global success. Today, [PIAS] is a 250-strong global team supporting the cream of independent music across the globe. Facebook fans 16,687. Twitter followers 3,696. San Francisco, CA About Blog The topic is independent music. Latest news, discussions, trends about independent music. Facebook fans 1,110,136. Twitter followers 485,229. London About Blog AIM is a trade body established in 1999 to represent the UK independent music industry. AIM acts for over 90% of the independent market, with over 800 members from small start-ups to the largest and most respected independents in the world. The Association of Independent Music is a non-profit-making trade organisation for independent record companies and distributors in the UK. Facebook fans 3,959. Twitter followers 16,820. United States About Blog The Indie Folx is the best place to discover new independent music. Facebook fans 67,613. Twitter followers n/a. Dublin About Blog The Last Mixed Tape is an independent music website, based in Dublin and run by music critic Stephen White. T.L.M.T is dedicated to bringing you all the latest news, reviews & interviews from bands and artists working in Ireland at the moment. Facebook fans 5,629. Twitter followers 5,378. London About Blog Killing Moon Limited is a London-based independent music company. Killing Moon was born in 2011 out of a sense of rejection by the wider music industry. Facebook fans 5,031. Twitter followers 2,913. About Blog Indie Music Box was started by Chris Collins in order to provide an affordable way for independent artists and filmmakers to use music in their projects without having to pay a ridiculous amount of royalties. All the music tracks are written, performed, recorded, and produced by Chris Collins. Facebook fans n/a. Twitter followers 1,022. Adelaide, South Australia About Blog Indie30 is an independent music blog run by a very small band of music tragics from Australia who believe passionately in promoting independently made music from right across the globe. The term 'indie' simply means music made by independent artists who value and defend their artistic freedom. Facebook fans 709. Twitter followers 500. California, USA About Blog IndiePulse Music is a Music Magazine dedicated to the independent music scene across the world and to the artists that strive for the pleasure of making music. IndiePulse Music provides news, reviews and interviews supporting the indie music scene and the music underground. Facebook fans 2,790. Twitter followers 1,114. Preston, England About Blog Hi! We're indieblogfest. A music blog focused on promoting up & coming bands, and keeping you up to date with all the latest music news. We are an independent music blog, talking about everything from new music and gig reviews to tour news and festivals. Subscribe to get latest articles from this blog. Facebook fans 306. Twitter followers 2,180. Facebook fans 1,132. Twitter followers 4,383. About Blog Mix It All Up is a music blog which talks about signed and/or unsigned bands. Bringing you music news, reviews, interviews and photographs from across the South of England and beyond. Facebook fans 341. Twitter followers 1,434. Los Angeles, CA About Blog All Indie Magazine was founded and established in May 2009. All Indie Magazine features music reviews, interviews, in-depth behind-the-scenes look at the independent music scene, a source of information for independent music artists on how to succeed in the industry, and is the official blog of the Artists In Music Awards. Facebook fans 613. Twitter followers 261. Spain and Netherlands About Blog Indieófilo is a project that began in mid-2011 as a platform for cultural exchanges mainly focused on independent music. As time goes by, the project has been growing with the collaboration of different people who have always believed in how we understand the culture: free, global and accessible to all audiences, enabling us to get to know people & wonderful places with culture as a unique ticket. Facebook fans 2,856. Twitter followers 665. Sydney, New South Wales About Blog Established in 1998 Turbo Nun is responsible for releasing compilation albums, booking gigs, producing music videos, organising tours and radio PR. TNEG is all about supporting the independent music scene and allowing bands to perform in an environment where there are no restrictions or labels and where one’s success is simply attributed to putting in the hard yard. Facebook fans 174. Twitter followers 48. Kolkata, India About Blog ‘Friday Night Originals‘ or ‘FNO’, in short, is the first all-original independent music start-up from India. It is a platform that works for the upliftment of Original and Independent Music and its practices in India and beyond. Musicians, songwriters and bands, irrespective of their genre/language/experience, are invited to showcase and promote their Original Music. Facebook fans 3,688. Twitter followers 419. London, UK About Blog Providing services to artists, musicians, DJs and events in the music industry. Facebook fans 3,579. Twitter followers 312. Hyderabad, India About Blog Monkstar is the India's First Independent Music Platform. Their dream is to make Independent Music a standalone industry in India, a force to be reckoned with. By partnering with music artistes, we seek to empower and help them grow in more ways than one. Facebook fans 19,605. Twitter followers 260. Facebook fans 244. Twitter followers 9. Philadelphia PA| Greensboro NC About Blog Indie Music Network, a division of Troytown Entertainment,LLC. started in 2012 by Founder Kenneth Troy. Their primary mission is to provide creative marketing & promotion for Independent artists in R&B, Jazz & Gospel throughout the world. Theyre dedicated in providing the best music seldom heard in mainstream for our audience to experience new Independent artists throughout the world. Facebook fans 1,639. Twitter followers 3,141. São Paulo About Blog Indie Music Dimension is a global stage for new-music, daily posts and hundreds of really talented artists released. Our preferences lean towards indie, rock/pop/electro/folk/alternative, R&B, funk and soul. Facebook fans 2,155. Twitter followers 1,632. 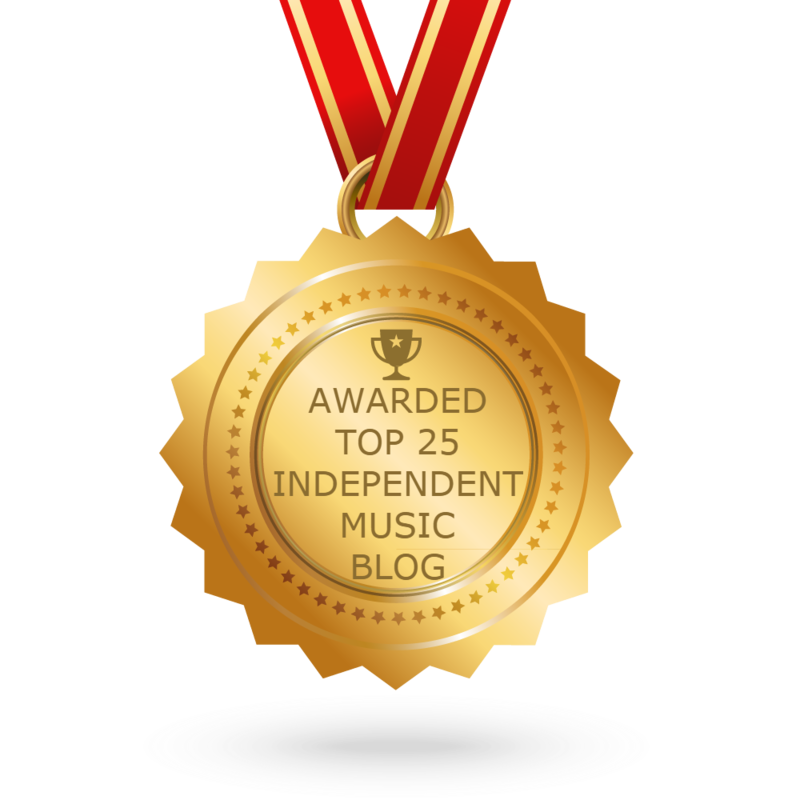 CONGRATULATIONS to every blogger that has made this Top Independent Music Blogs list! This is the most comprehensive list of best Independent Music blogs on the internet and I’m honoured to have you as part of this! I personally give you a high-five and want to thank you for your contribution to this world.